“We made a terrible mistake by becoming a mono-product economy hinged on oil and we are now in a volatile situation, due to the crash in oil prices. “We have seen the benefits of diversification which helped Iran to survive many years of sanctions and still come out strong. “We are now fully committed to economic diversification. Most of the things on our import bills can be produced here. 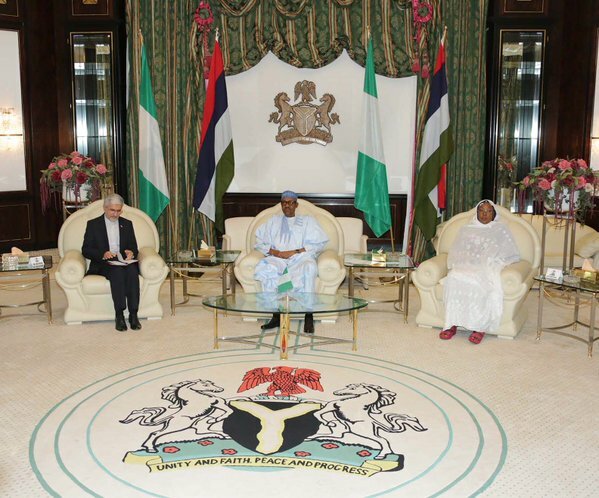 And we are determined to achieve that self-dependency,” President Buhari told the outgoing envoy. These were the statements of President Muhammadu Buhari when he had an audience with the outgoing Iranian Ambassador to Nigeria, Mr. Saeed Koozechi, at the Presidential Villa, Abuja on Wednesday. President Buhari said he was convinced that with greater diligence, hard work and patriotic determination to achieve self-sufficiency, Nigeria can produce most of the items currently on its import list. At a separate audience with the outgoing Chinese Ambassador, Mr. Gu Xiaojie, President Buhari gave an assurance that the Federal Government will continue to do its best to meet its obligations under bilateral agreements with China for the development of critical infrastructure in Nigeria. The President said that because of their importance to Nigeria, his administration will uphold contractual agreements with Chinese companies for the development of essential infrastructure which it inherited from past administrations, and work to ensure that the projects are speedily completed. The President reiterated his particular commitment to the completion of the Mambilla Power Project which, he said, was of great strategic importance to his government’s efforts to ensure that Nigeria does not become over-reliant on gas-powered electricity generation.